Every year IHOP gives away free pancakes around National Pancake Day to celebrate the day. The pancakes are completely free with no purchase required, although a donation to Children's Miracle Network is encouraged. It's expected that a record-breaking amount of five million pancakes will be served in IHOPs around the country on this single day. All IHOPS in the United States will be participating as well as IHOP restaurants in Canada, Mexico, and the Philippines. This year the IHOP free pancake day, called IHOP National Pancake Day, is on Tuesday, March 12, 2019. Guests will be able to get their free pancakes on March 12th from 7:00 a.m. to 7:00 p.m. However, some IHOPs have extended hours of 7:00 a.m. to 10:00 p.m. for the free pancakes promotion. Call your local IHOP location to find out if they're offering the extended hours. When you visit your local IHOP for National Pancake Day at IHOP, you'll get a free short stack (3) of their famous buttermilk pancakes. Although not required, you will be asked to give a donation to the Children's Miracle Network in any amount you'd like in exchange for your pancakes. This money goes to local hospitals in your area and provides life-saving medical treatments and procedures for children in need. Their 2018 goal is to reach $5 million in donations, and all donations for the pancakes will go straight to the charity. Some of the restaurants will also be inviting guests to make a donation to get a wall icon of the Children's Miracle balloon to publicly pledge support to Children's Miracle Networks. Some of the restaurants will be giving a discount coupon to be used on future business with the purchase of a wall icon. The offer of the free pancakes is limited to one short stack per person and you must dine in to get the deal. 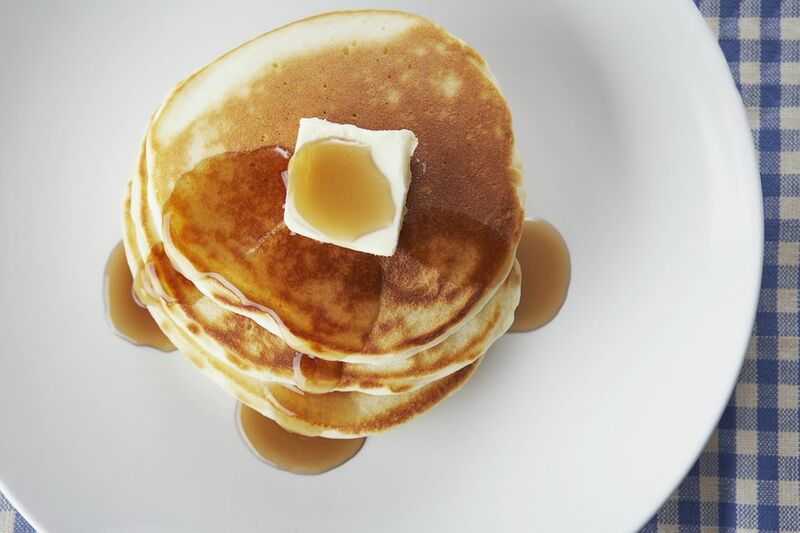 The annual IHOP National Pancake Days have been going on for 13 years with more than $30 million being donated to organizations like Children's Miracle Network, Shriners Hospitals for Children, and The Leukemia & Lymphoma Society. You can join the Pancake Revolution reward program and get a free full stack of Rooty Tooty Fresh 'N Fruity pancakes for joining, a free birthday meal, and some free food on your anniversary of being a member. National Pancake Day isn't the only day you can get free food at your local restaurants. There are a ton of free food days including free ice cream days at Ben & Jerry's, Dairy Queen, and Haagen-Dazs. You can also get free donuts on National Donut Day, free coffee on National Coffee Day, free Slurpees at 7-Eleven for Free Slurpee Day, and free Chick-fil-A on Cow Appreciation Day. Get helpful baking tips and recipes for cookies, cakes, breads, and more treats, delivered right to your inbox.